Neurological disorders affect millions of people worldwide and appear to be on the rise, with environmental factors as a suspected contributor. 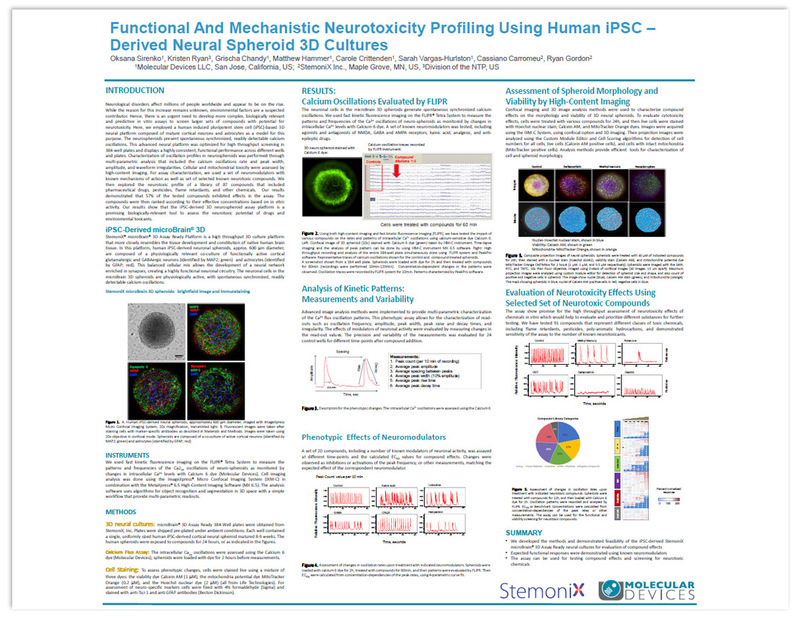 Learn about using an iPSC-derived 3D neurospheroid assay platform to develop more complex, biologically relevant and predictive in vitro assays to screen larger sets of compounds with potential for neurotoxicity. 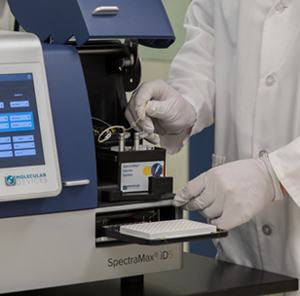 The SpectraMax iD series of multi-mode microplate readers help you expand the boundaries of your research. With a large touchscreen, NFC functionality, available dual auto injectors, HTRF and western blot capabilities, the SpectraMax iD series is your all access pass to your next breakthrough. View an interactive demonstration including tutorial videos, key features, and datasheet downloads. 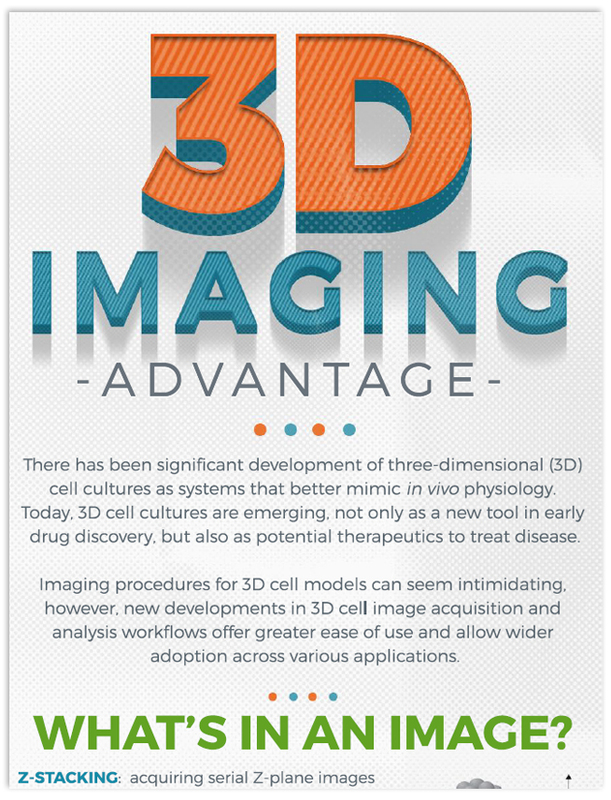 Imaging procedures for 3D cell models can seem intimidating, however, new developments in 3D cell image acquisition and analysis workflows offer greater ease of use and allow wider adoption across various applications. 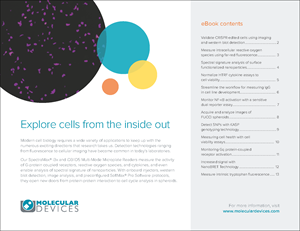 Learn about the advantage and the technology behind 3D cellular image acquisition and analysis. There is a great need to automate complex cell-based assays with multi-parametric readouts while maintaining high data quality and precision. 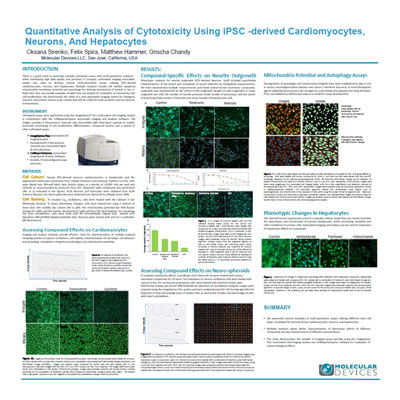 Learn about several multi-parametric assays utilizing iPSC-derived models that will be useful for both academic and bio-pharma environments.